A couple in Nevada thinks their dog may be part horse. Rocko stands at 40 inches from paw to shoulder and is about 7-feet tall when on his hind legs. 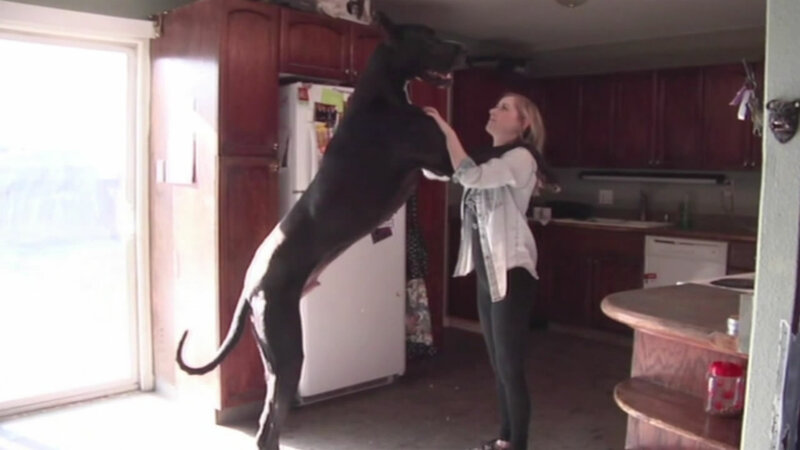 Owners say the 160-pound Great Dane thinks he's a Chihuahua. The family is now trying to get him into the Guinness Book of World Records.